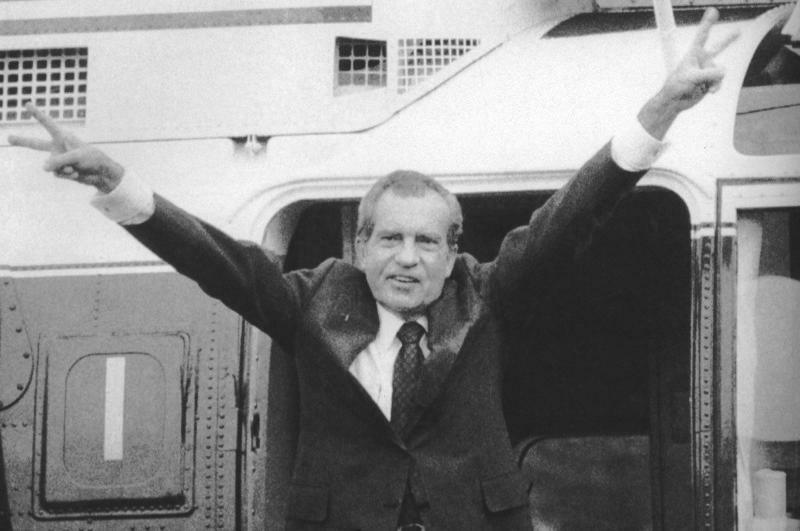 A federal judge has ordered the partial release of a 1974 grand jury report that examined accusations against former President Richard Nixon at the height of the Watergate scandal. Chief U.S. District Court Judge Beryl Howell granted a request Thursday to unseal much of what was regarded by some as an impeachment "road map" against Nixon. A federal grand jury sent the report, which details the initial break-in at the Watergate Hotel and Nixon's cover-up efforts, to the House judiciary committee in early 1974. The request for the report was made by journalism professor Stephen Bates, law professor Jack Goldsmith and Benjamin Wittes, editor of the national security website Lawfare. They have said the report could offer information on the work of Watergate special prosecutor Leon Jaworski , and could inform Special Counsel Robert Mueller, who is investigating potential irregularities the 2016 U.S. presidential election. "The Road Map is one of the few significant pieces of Watergate history that remains unavailable to the public," the three men wrote on the Lawfare blog in September. "The document is also keenly relevant to current discussions of how Mueller should proceed. "It is possible that it is even relevant to discussions taking place within the Mueller investigation itself. The primary significance of the document ... lies in its role as a kind of model or template for subsequent impeachment referrals, a model that, ironically, has never been available for study and emulation." Howell's order instructs the National Archives to release a two-page summary of the committee report, 53 statements and 97 supporting documents, as well as documents released previously. She also ordered officials to contact persons mentioned in 16 other documents to determine if they would object to their disclosures. The request for the documents' release was initially made in 2011 by Geoffrey Shepard, who was part of Nixon's Watergate defense team. That request was denied.